SAN DIEGO--(BUSINESS WIRE)--Tour Engine, Inc. (TEI) announced that it secured a $2.59 million Phase II grant from the Advanced Research Projects Agency-Energy (ARPA-E) and an additional $2.25 million in private funding led by Joan and Dr. Irwin Jacobs of Qualcomm. Tour was awarded a $1 million Phase I ARPA-E GENSETS grant in 2015. The Phase II GENSETS grant is what ARPA-E calls a “plus-up” and is only awarded to companies that exhibit substantial technical progress. 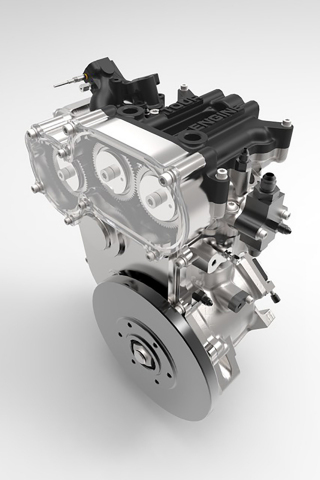 The Phase II grant directs Tour to apply its learnings from a 1 kW prototype split-cycle engine to develop a more commercially viable 5 kW engine targeted to be at least 20% more efficient than today’s comparable internal combustion engines (ICEs). The ARPA-E GENSETS website explains that “[the GENSETS] program aims to develop transformative generator technologies to enable widespread deployment of residential combined heat and power (CHP) systems.” Applications for more efficient ICEs, however, ultimately extend to many sectors, including transportation, agriculture and industry. Unlike current combustion engines that use the same cylinder for all four strokes (intake, compression, combustion and exhaust), Tour's split-cycle engine splits the conventional 4-stroke cycle between two cylinders: the cold cylinder hosts intake and compression, and the hot cylinder hosts combustion and exhaust. A proprietary crossover valve is used to transfer the compressed charge from the cold cylinder to the hot cylinder. The end result is a thermally optimized engine that stands to dramatically reduce both fuel costs and emissions. Tour Engine, Inc. (TEI) is diligently focused on perfecting – and soon commercializing – efficient, simple and green internal combustion engines (ICEs) for use in electrical generation, transportation, agriculture and industry. Because ICEs and the fossil fuels they burn will remain a fixture of modern civilization for decades to come, Tour’s thermally optimized engines can deliver significant economic and environmental upside by reducing fuel consumption and emissions. Tour’s novel, split-cycle design has been awarded 18 patents. Learn more at www.tourengine.com. Tour Engine secures a Phase II ARPA-E grant and private funding to develop 5 kW engine with a 20% gain in efficiency.